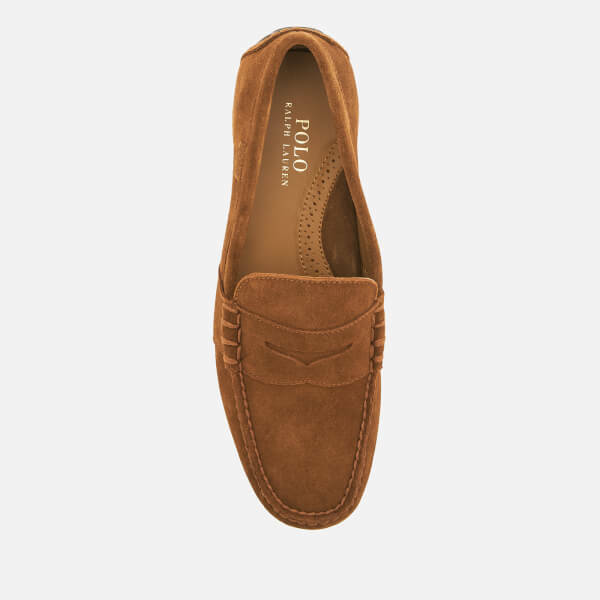 Polo Ralph Lauren tan suede slip-on shoes with a hybrid design that blends a penny loafer with a driving shoe. 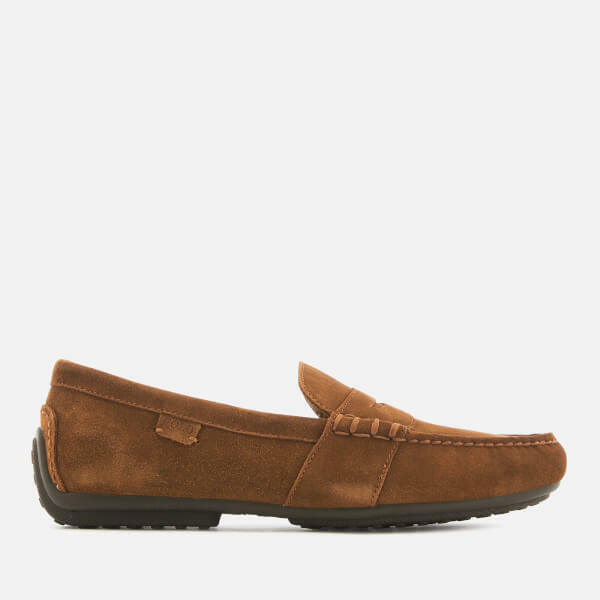 The classic loafers have tonal hand-stitched detailing, a penny tab across the vamp and round toe styling. 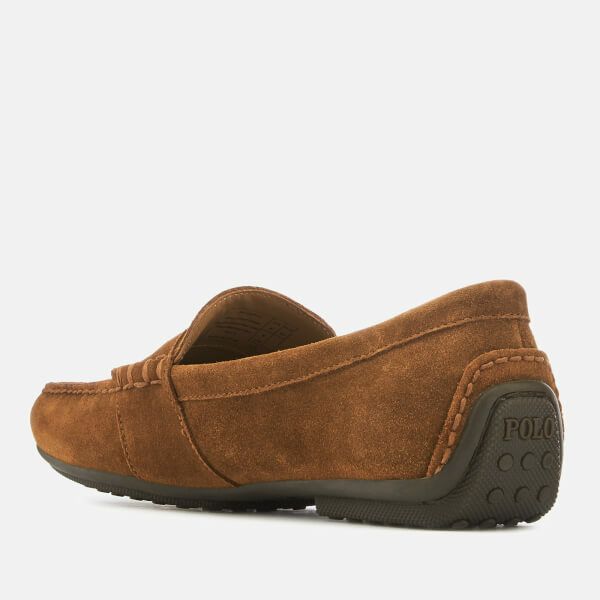 A slim rubber nub outsole that extends to the heel offers added traction. 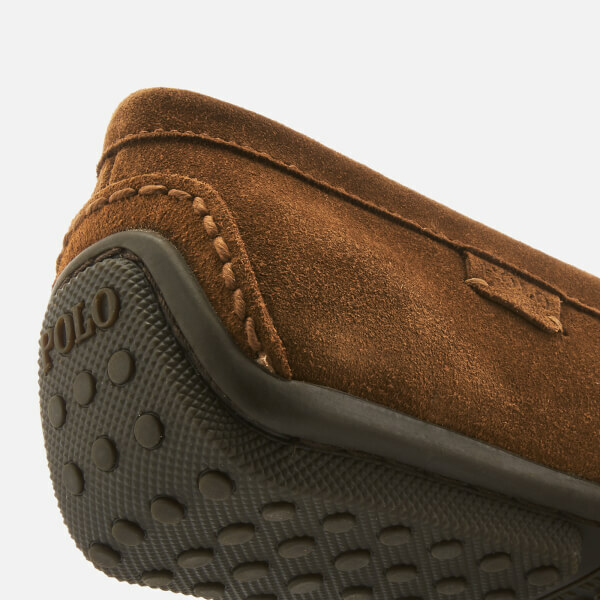 Lined with smooth leather for comfort, the boat shoes are finished with a ‘Polo’ brand tab on the outer side and a padded leather insole and ankle collar for comfort.